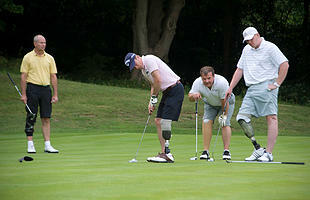 Bid for you and two friends to play golf with Stoke City, Liverpool and Scotland fotballer Charlie Adam. Founded in 1901, St Annes Old Links is one of the fine championship links of England’s north west. The Old Links has been voted in Golf World's January 2019's issue one of the"Top 100 Courses in England 2019" and also one of "England's Top 100 courses 2018" by National Club Golfer. Like all great links, the course is designed to test your patience and resilience whether you are a budding professional or an enthusiastic beginner.